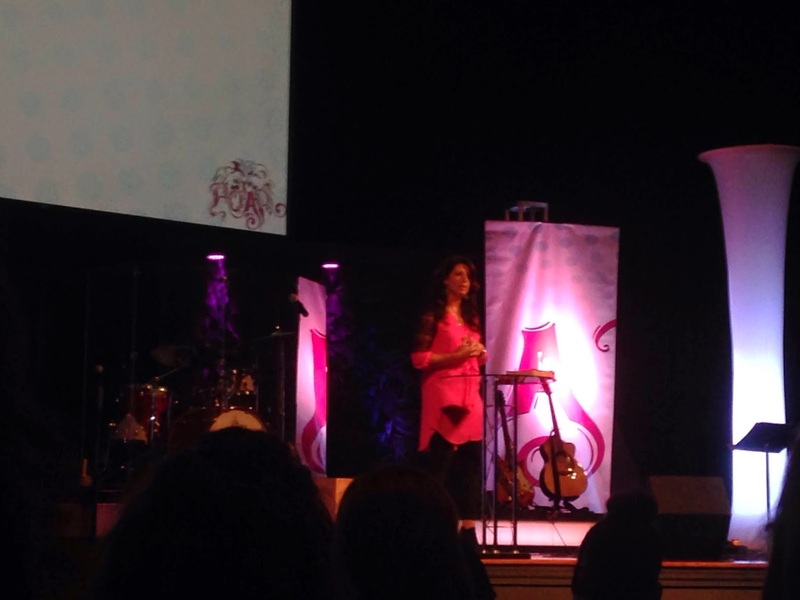 So this weekend, I had the privilege of attending the ROAR women's conference in Fayetteville. Don't be fooled by the logo or the title- this was not a self-help conference to the theme of "I am woman, hear me roar." Instead, this conference was a worship event, and if when the women left the conference feeling empowered, it was through the Holy Spirit's power inside of them that they did so. And yes, there may have been some roaring going on, and hopefully still is some roaring going on, because we want to make sure the devil knows we are God's girls! 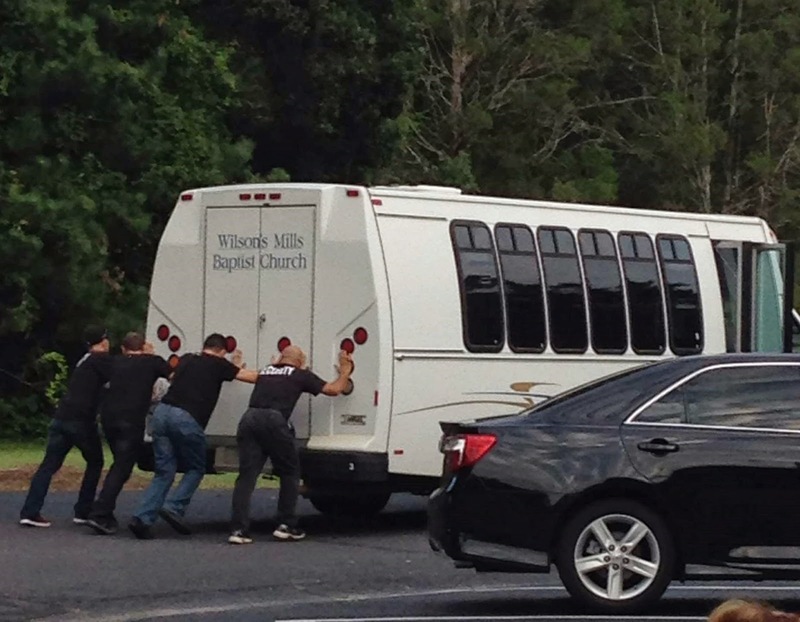 Thank you to the nice men of Epicenter Church for pushing our bus to a towing site! 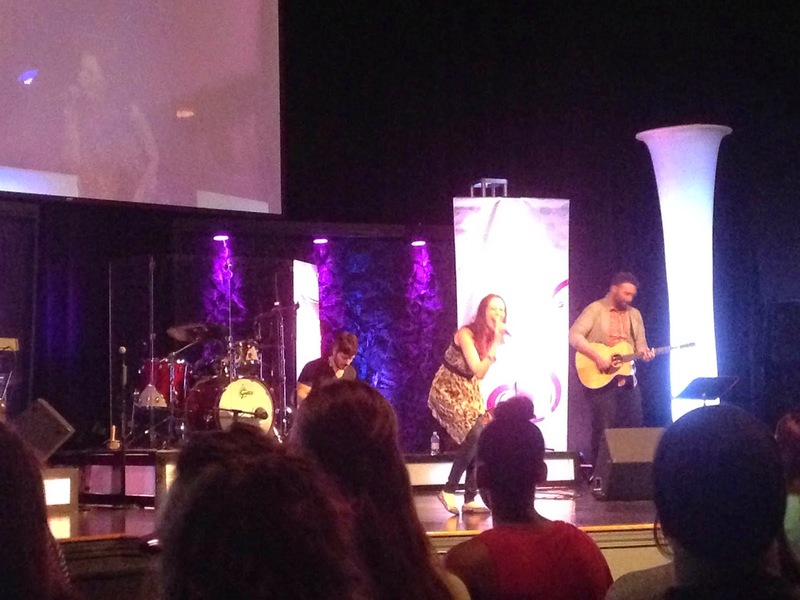 So, Friday night (after safely arriving- Praise God) Kerrie Roberts was in concert. Let me tell y'all, she is phenomenal! 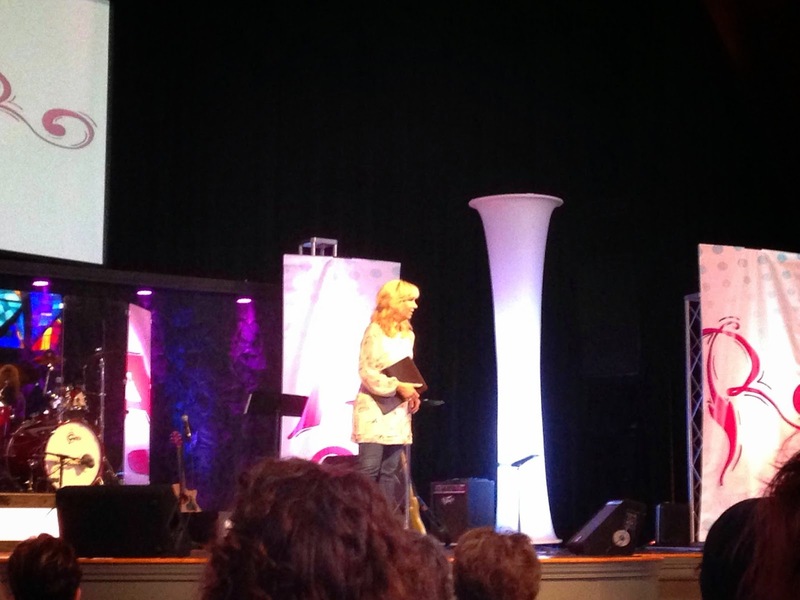 Such a great woman of faith with a true heart for God. I love attending concerts of Christian artists- because we aren't worshiping at the alter of the performer, we are worshiping at the alter of God! I would say the goal of a Christian singer would be to point others to Christ more than to themselves- giving him the sole glory! And Kerrie Roberts did just that! God knows we get weary and worn out "But those who hope in the Lord will renew their strength. We have no power in which to save ourselves- we are dead with out Christ. But as Kerrie Roberts said so tweetably (as in I shared her quote on Twitter)- "The same Spirit who raised Jesus from the dead, is here with us and can raise us from the dead." And should we need a reminder from time to time of just how awesome God is then we can ROAR- because we are a new creation in Christ, originally made with works designed for us by God, who loves us with an authentic love demonstrated by the fact that He sent his son to die for us, and He will renew our strength when we hope in him! Hallelujah- that right there was enough to end the conference! "Therefore, since we are surrounded by such a great cloud of witnesses, let us throw off everything that hinders and the sin that so easily entangles. And let us run with perseverance the race marked out for us, fixing our eyes on Jesus, the pioneer and perfecter of faith. For the joy set before him he endured the cross, scorning its shame, and sat down at the right hand of the throne of God." We need to throw off the sins that can so quickly become traps and entanglers that keep us from living the Christian life fully and completely as God has called us to do. That probably definitely will be an every day occurrence. We can't allow distractions to keep us from focusing our full attention on Christ. In every part of our lives, we should be looking to glorify Christ. EVERY part. Not just at church. Another tangent- I find it interesting when people place an "extra good behavior" clause on church. "I can't wear that to church." or "Don't you be lying, you're at church"- Well if you can't wear it to church, you probably shouldn't be wearing it and how about don't lie anywhere?? Most of those comments I hear are said in jest... most... okay tangent over. Seriously though, God has specific works that he has created for us to do (Ephesians 2:10) he even gave us gifts that aid in accomplishing the missions he calls us to (1 Corinthians 12). But if we let sin, however, small it may seem at first, grow and grow in our hearts, minds, bodies, it will become a hindrance that keeps us from fully accomplishing what God has set before us to accomplish, thereby withholding the glory God so richly deserves. So, even though you may have missed the ROAR conference, you don't have to miss out on the opportunity to be a sold out, child of God, who fixes your eyes on Christ and runs full throttle towards him with every fiber of your being- removing any obstacle that tries to keep you from Him- your Savior. Your Redeemer. The Lover of your soul. Your Lord. Your Bridegroom. Your Friend.